The Pilar Iglesias Travel Award provides travel grants for one or two graduate students or young researchers from a developing nation so that they can participate in an ISBA World Meeting meeting. Pilar Iglesias-Zuazola was a research leader in Latin America in the areas of Bayesian theory and analysis and an outstanding educator. She received her Ph.D. from the Universidade de São Paulo in 1993, a student of Carlos Pereira, and quickly assumed a leadership role in Chilean statistics. She served as President of the Chilean Statistical Society, SOCHE, and headed its Bayesian section; she served as Director of the only Ph.D.-granting Statistics department in Chile, Catholic University; she worked to bring Statistical Science to Chilean high school students through her leadership of the Explora-Conicyt project (using animated cartoons to bring exploratory analysis to life); and she interacted with the international Statistical community at the highest levels, bringing fruitful interaction between Latin American statistical scientists and those in Europe, Africa, Asia, and North America. Pilar contributed to the profession through service in ISBA and in the Chilean Statistical Association and was a dedicated mentor of students and young researchers. Pilar was a vital force in ISBA, head of the Chilean chapter of ISBA, and organized the superb 2004 ISBA World Meeting at Vinã del Mar, Chile. But above all she was loved for her warmth and vitality. 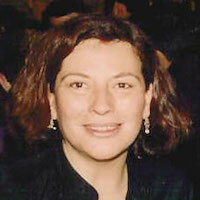 On the third of March in 2007, Pilar passed away. A fund in memory of Pilar has now been established by ISBA to endow an award in her name, to be given in perpetuity. The Pontifical Catholic University of Chile, Pilar’s home institution, provided the initial $5,000 to initiate the fund. Individuals are selected by the ISBA Program Council.